Due to the overwhelming success of the original Complete Idiot’s Guide to European History, Penguin Books extended the title to a second edition and released it October 4, 2011. Updated with events and information from as recently as Spring, 2011, the Complete Idiot’s Guide to European History, 2e makes a great companion text for the AP European History Student or for the casual reader who wants to read history in a down-to-earth, easy-to-understand, readable style. 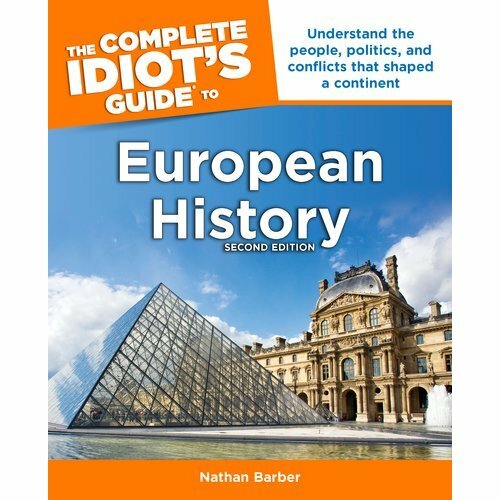 The Complete Idiot’s Guide to European History, 2e is available now through Amazon.com (in both print and Kindle formats), BarnesandNoble.com (in both print and Nook formats), iBooks, as well as in most major brick-and-mortar booksellers.